The CVP-709GP Yamaha Clavinova is an exceptional digital piano with a huge variety of modern capabilities and features and an impeccable grand piano sound. 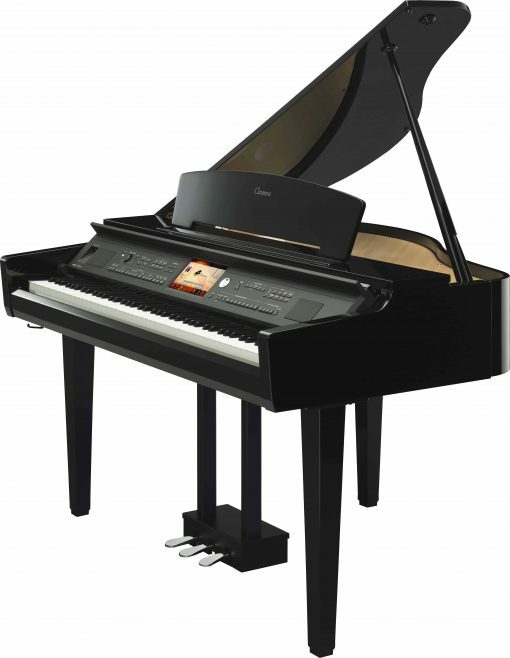 The Yamaha CVP-709GP is a beautiful, modern digital baby grand piano with the tone, touch, and response of the finest concert grand pianos, with dynamic and modern digital features. 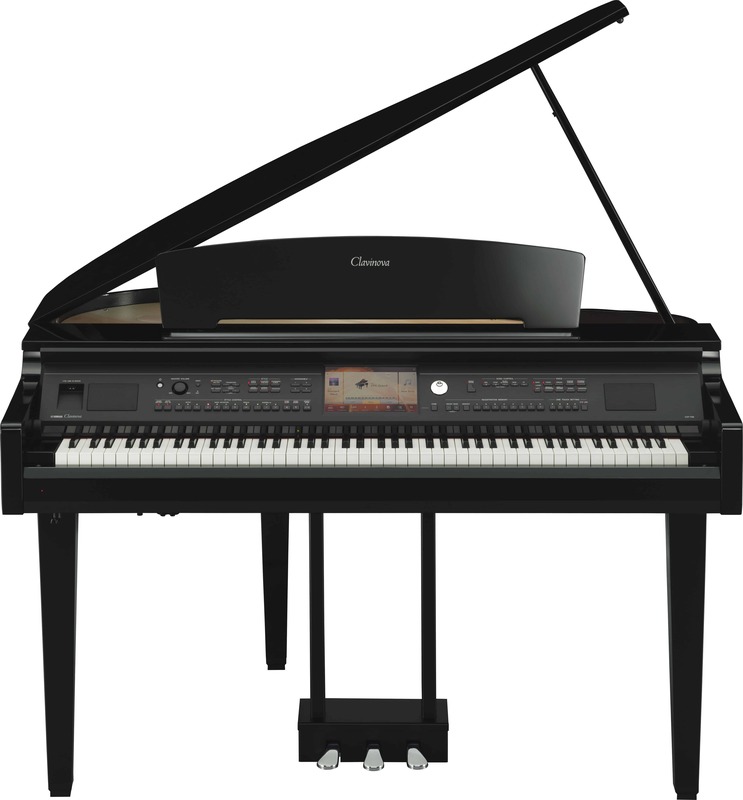 A Multitude of Voices, Styles, and Ensembles – Accompaniment Styles adds authentic, studio-quality backing players to your performances on the Yamaha CVP-709GP. It introduces your choice of virtual musician ensembles to your performance, from small jazz ensembles to full orchestras. Follow Lights Guide Feature – Learn to play songs by following the lights above the keyboard. 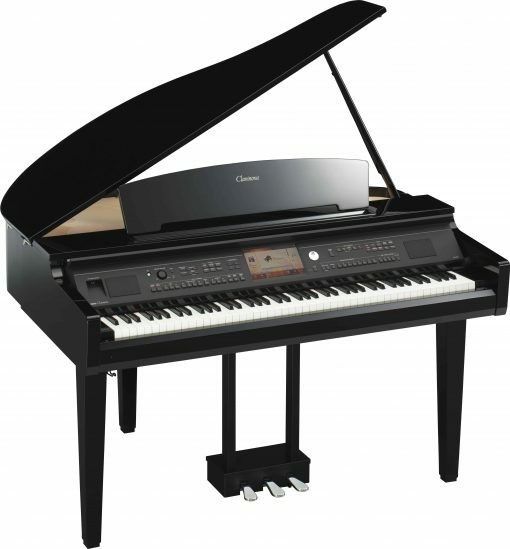 The Clavinova CVP-709GP has a full library of Follow Lights songs that light up the notes of the melody–and if you don’t play the right note, the song will wait until you do. Follow the lights one note at a time, and fully arranged orchestrations and arpeggios will embellish your playing. Karaoke Mode – Connect a microphone to your Yamaha CVP-709GP and sing along with your keyboard performance or using Karaoke song files from yamahamusicsoft.com.